Black chalk. 230 x 160 mm. 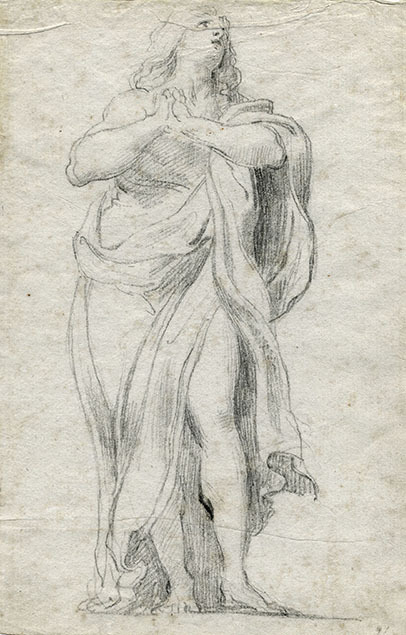 The drawing is a copy of one of the statues by the school of Bernini, that adorn the colonnade of St. Peter's square. In the eighties of the eighteenth century, Pietro Bombelli published in Rome (1779-1801) a collection of prints depicting the complete set of statues. The drawings for the series were mainly executed by two artists: Giuseppe Cades and Antonio Cavallucci. For the drawings by Cades see M. T. Caracciolo, Giuseppe Cades, 1750-1799, et la Rome de son temps, Paris 1990; cat. no. 79, pages 274, 275, 276, 277. 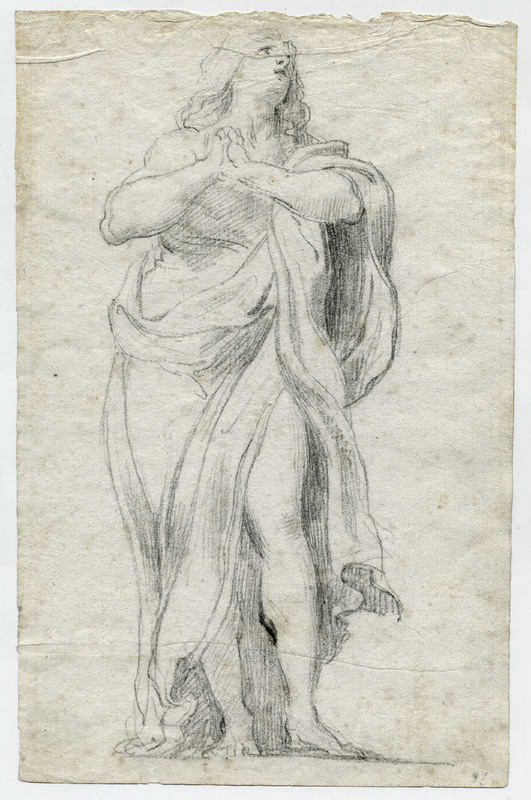 For examples of other drawings by Cavallucci for the prints see M. T. Caracciolo, Giuseppe Cades e dintorni, exhibition catalogue, Museo Archeologico di Amelia, 2008; nos. 39, 40, 41.